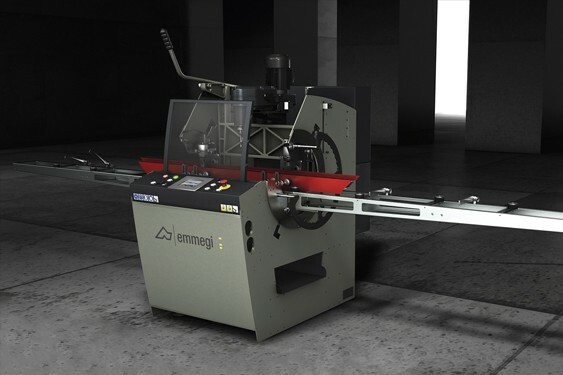 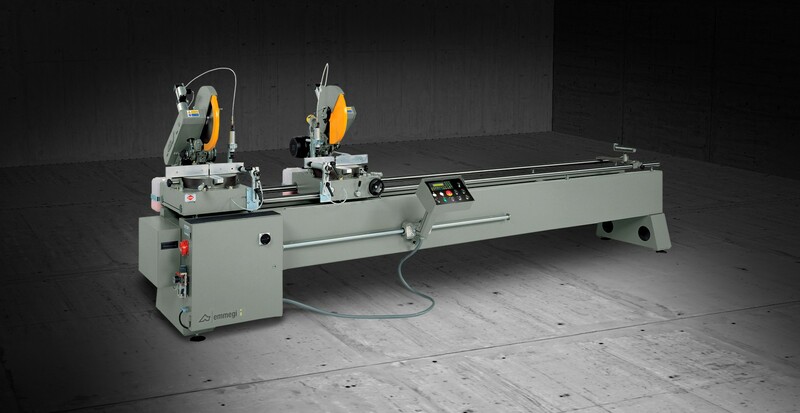 Electronic double-head cutting-off machine with automatic movement of the mobile head. 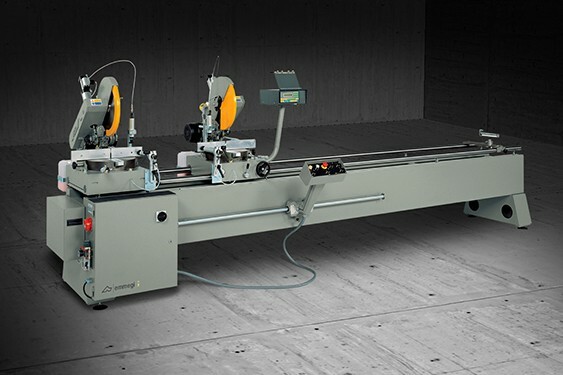 Manual rotation (45° left and right) and tilting (45° in relation to the horizontal axis) of the cutting units. 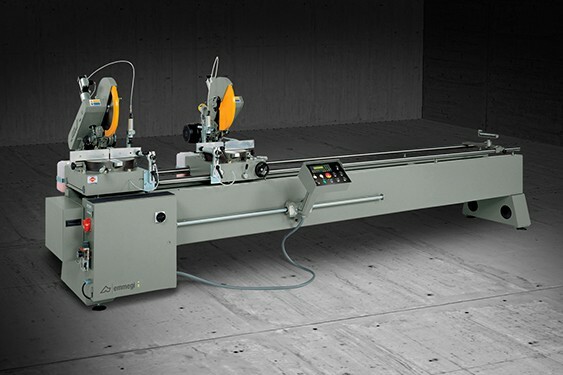 400 mm-blade Available with a useful cut of 4 m or 5 m in length.